The Gare maritime of Cherbourg (the transatlantic ferry terminal of Cherbourg) is a former maritime railway station, in service between the years 1930 and 1960, located on the territory of the commune of Cherbourg-en-Cotentin in the Normandy region 1). It was at that time, one of the most important stations of the Basse-Normandie. The transatlantic station was at the end of the Mantes-la-Jolie line at Cherbourg. The major part of the building has been registered for historic monuments since 27 December 1989. The Transatlantic Hall has been registered as historic monuments since 16 August 2000 2). 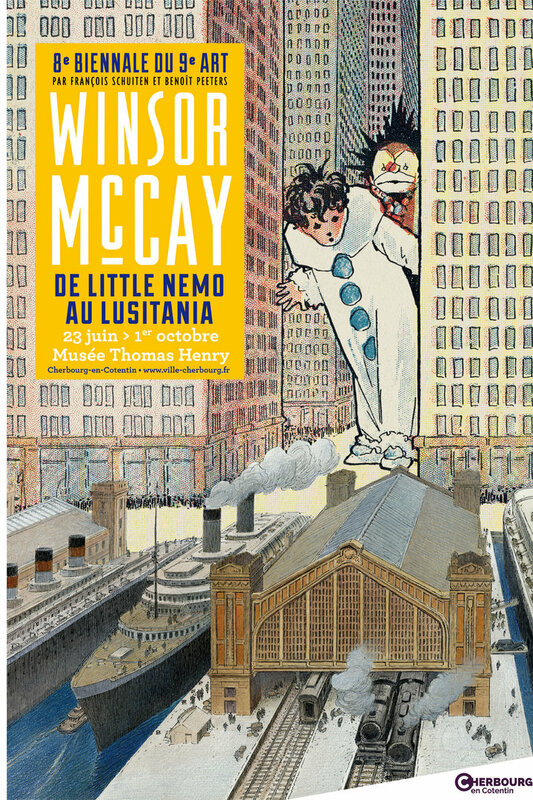 The ferry terminal was used by François Schuiten for the announcement poster of the McCay exhibition in Cherbourg in 2017.